This must be yet another of those quickest desserts I have made. Making it in microwave hardly takes time and since I was also doing the 3 ingredient Dishes, I wanted to use something thats easily available all the time. I used Nutella as its always stocked. 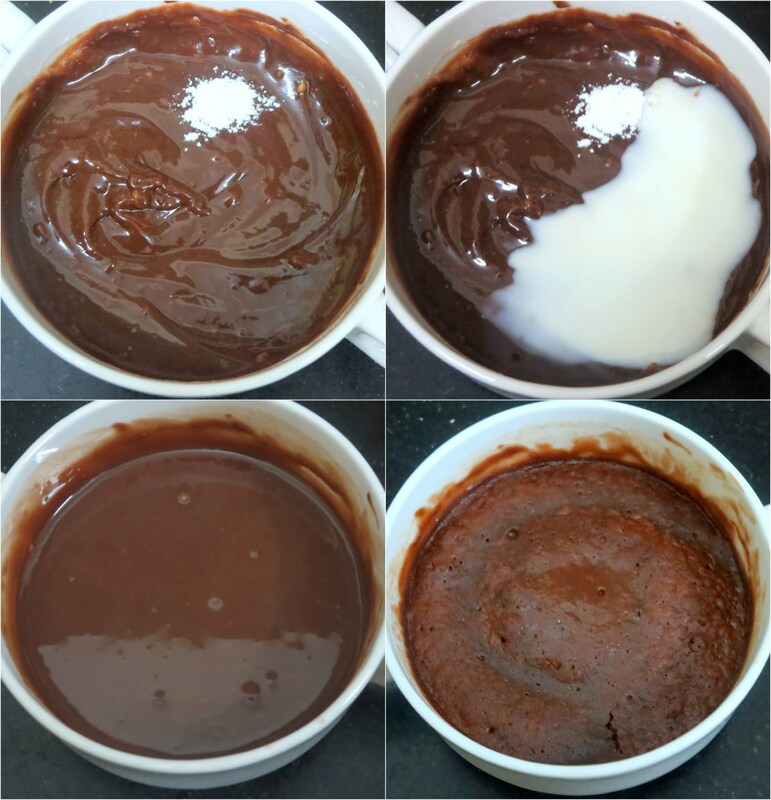 I read some Nutella cakes with eggs, again all Microwave cakes and mostly mug cakes. 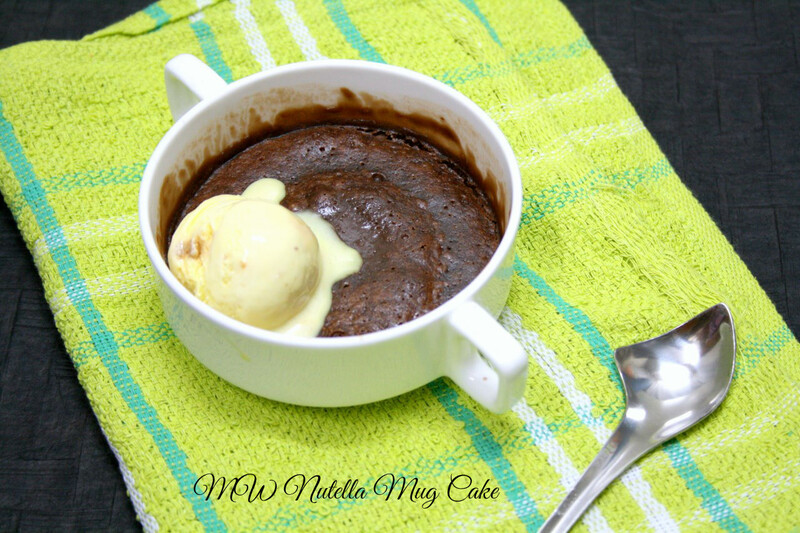 I am huge fan of Mug cakes as its so quick and easy to make. However all my mugs broke and I am on the way to replace them soon. Coming to this recipe, I used a pinch of baking powder, so technically this should be 4 ingredient dish. However without baking powder this comes out well. I served this with a scoop of ice cream and Konda was going gaga over it. She enjoyed all by herself and I think this is something she will be making herself soon. 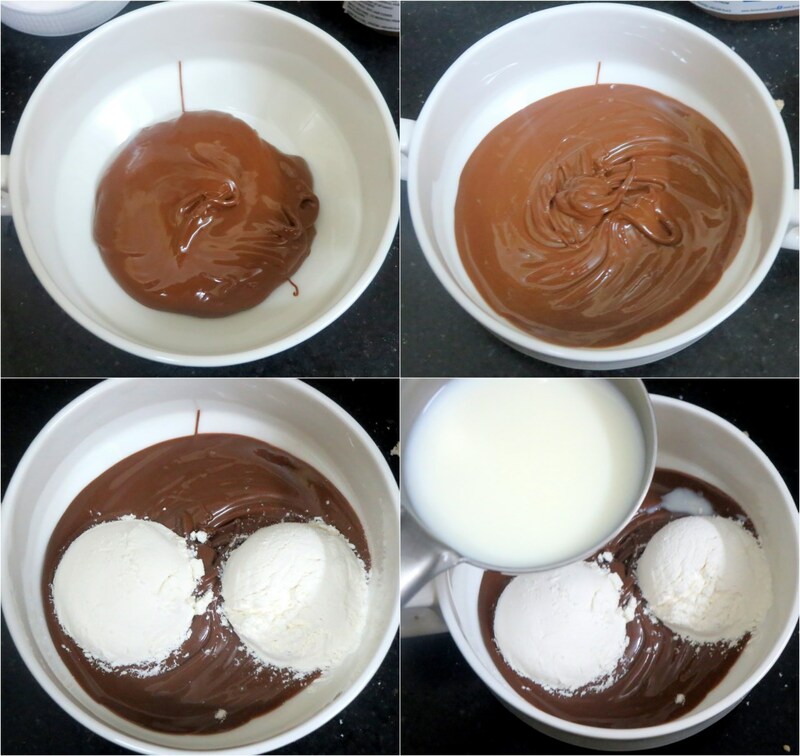 In a MW safe bowl, take the nutella, whisk well, then add flour, baking powder, mix. Slowly add the milk by teaspoon and mix till you get the right consistency. Microwave for 30 secs, check and again mw for 30 secs. Serve right away with a scoop of ice cream! Bet it was yummy. I tried a similar version for baking marathon and loved it. That's a perfect one for chocolate cravers, quick and perfect balance, good one ! Yummy.. I am gonna make this for my hubby's birthday.. Will let you know how it was. Prefect feast for chocoholic like me, i want to finish the cake. I am so making this Valli. I am sure my little one will be happy to have this! Well my hidden bottle of nutella will come to use soon. with the ice cream….what a treat! I love these sort of 1 minute cakes!Lovely cake with nutella! Chocolate cake and ice cream is simply delicious. 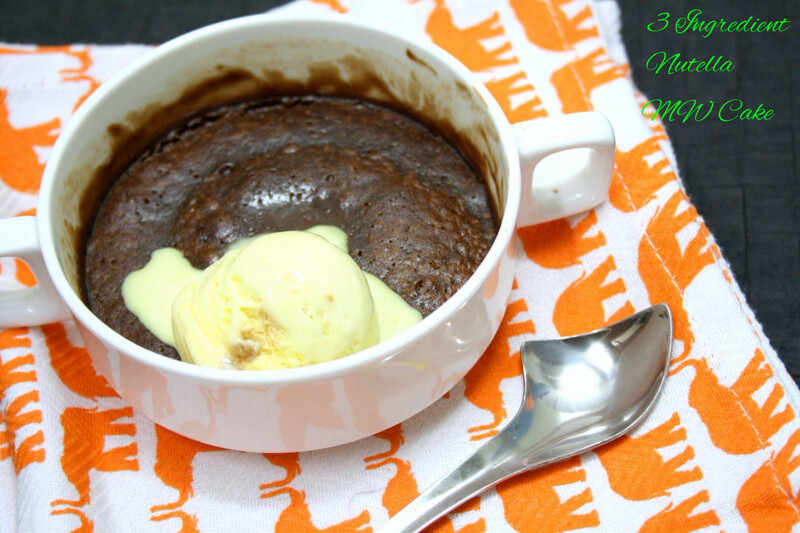 I make this minute cake for both the kiddos, when they ask for chocolate cake immediately!!! adding nutella makes it more delicious and kid-attractive. serving it with ice-cream takes the dessert to another level!! !